This is cool. It’s not a football field; it’s an air field. I found these photos last week in some scrapbook pages that belonged to a member of the class of 1918. (His last name was Trout and I can’t remember his first name. I’m not in the archives this afternoon so I can’t look it up until tomorrow.) One of his children or grandchildren sent us these pages–not even a full scrapbook–several years ago. I knew they were there, but hadn’t looked closely until the other day. 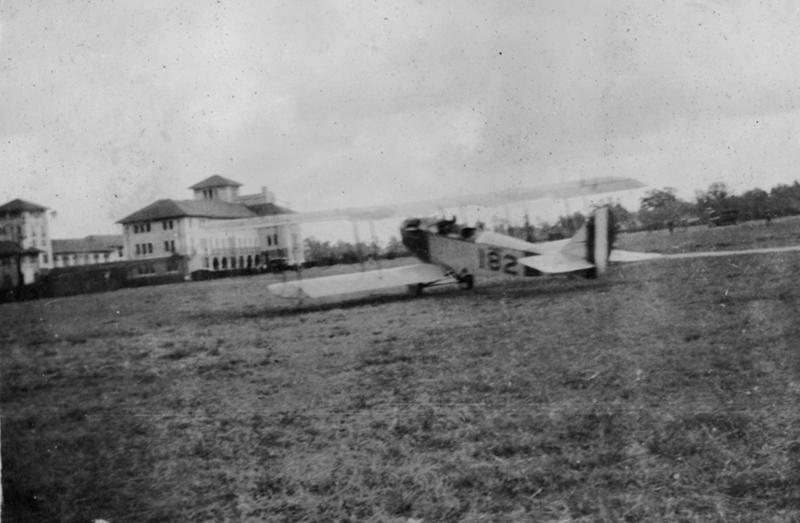 Over the years I had seen references to airplanes at Rice, but these are the only pictures I’ve seen that show the campus itself used as an landing strip. The second photo here is pretty generic and is probably is facing towards Main Street. The one at the top, though, has a beautifully clear view of the Residence Hall. They’re different planes, and the pictures were likely taken on different days. I have a pretty good idea who might have been flying at least one of these planes. I also found (in another student scrapbook) some aerial shots that might have been taken at this time. 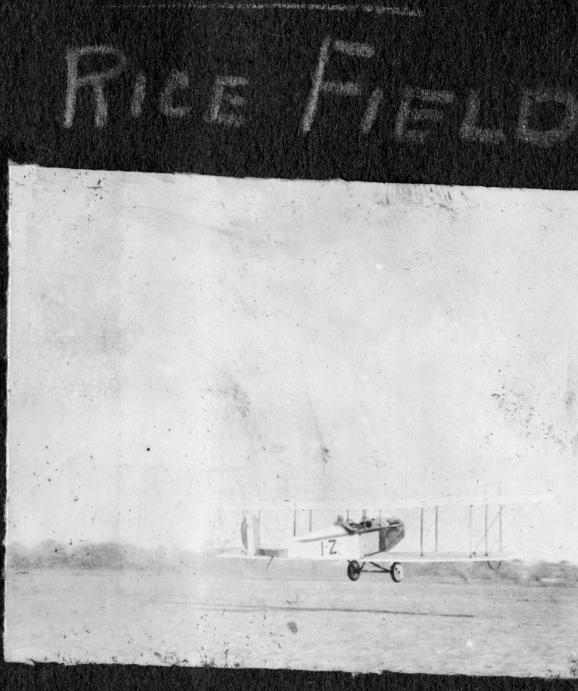 Drew Coats, one of the founders of the 1940 Air Terminal Museum, had told me there was once an airfield of sorts at Rice but I never could find anything about it. I was thrilled to see your post and have shared it with him. I’m guessing the museum would love to have copies of the photos and any other information you can share. What is the “Residence Hall”? It looks a bit like (current) Baker College’s “old section” and the northern chunk of (current) Will Rice College. Or is it a building which no longer exists?